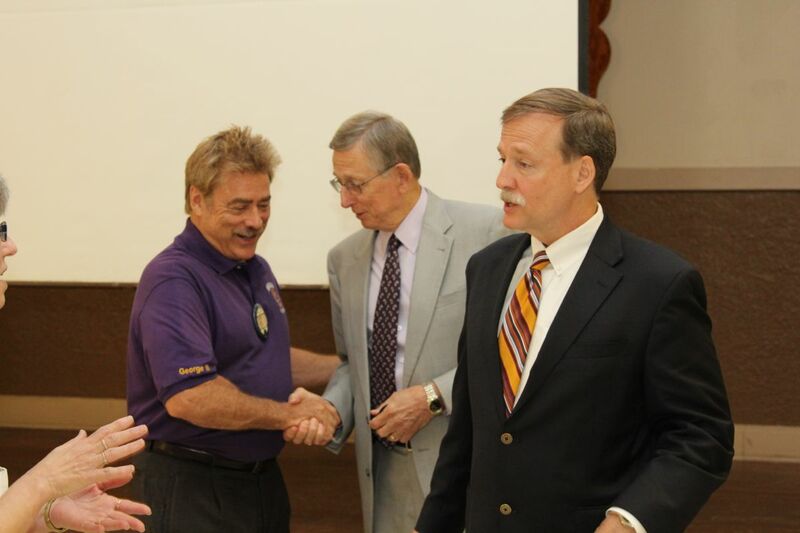 The Louisiana Sheriffs’ and Deputies’ Political Action Committee conducted a press conference on Friday 11, 2014 to announce the official endorsement of Judge Scott Crichton for District 2, in the forthcoming Primary election on November 4, 2014, according to the Louisiana Sheriffs’ Association’s Political Action Committee Chairman, West Baton Rouge Parish Sheriff Mike Cazes. 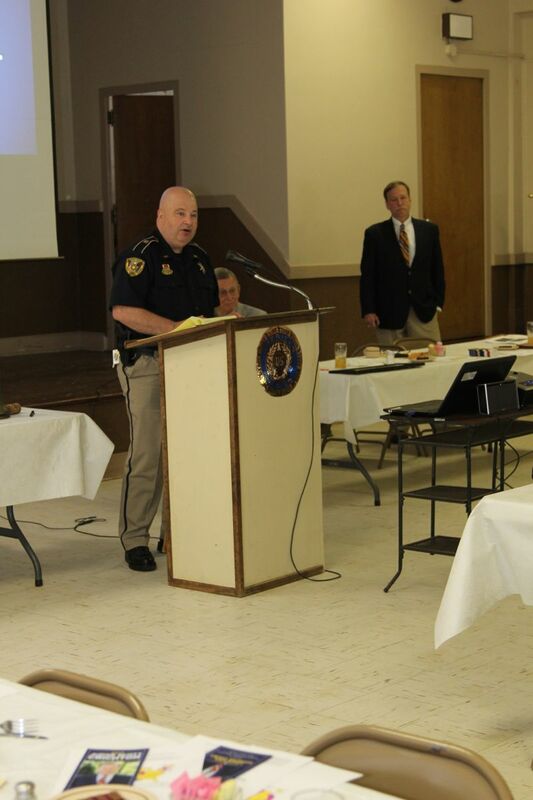 Listen to the Louisiana Sheriffs’ and Deputies’ Political Action Committee press conference. 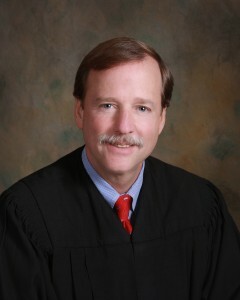 Judge Scott J. Crichton was born in 1954, and is a judge of the Louisiana 1st Judicial District Court in Shreveport, a position which he has held since 1991. Crichton was initially elected to the court in 1990 as a Democrat. He is running as a Republican in a bid to succeed the retiring Justice Jeffrey P. Victory for the District 2 seat on the seven member Louisiana Supreme Court. 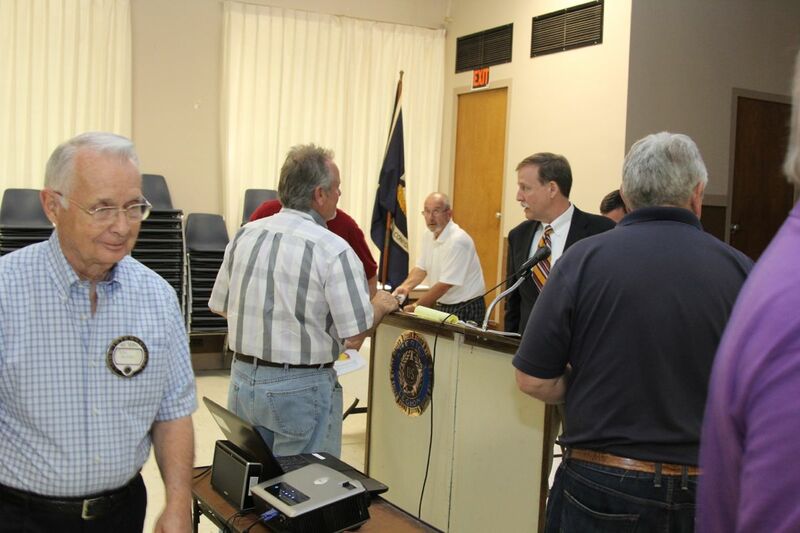 The nonpartisan blanket primary for the position will be conducted on November 4, 2014 in eleven northwest Louisiana parishes. 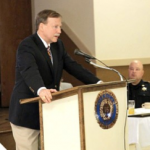 As a district judge, Crichton has handled more than 25,000 criminal and civil cases. He is a former instructor at the Shreveport Police Academy. 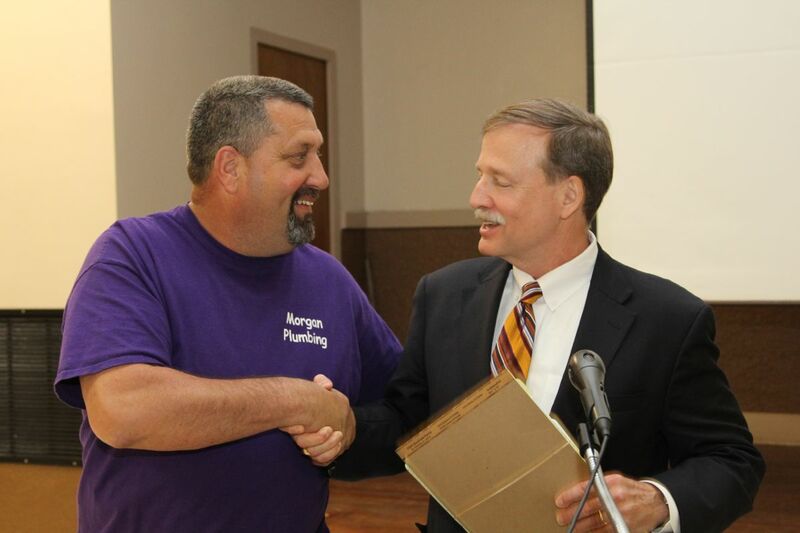 From 2011 to 2012, he was the president of the Louisiana District Judges Association. 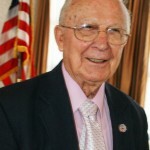 He is a former board member of the YMCA and a lifetime member of the National Rifle Association. Justice Victory had been expected to seek a third ten-year term on the Louisiana Supreme Court, but Victory, who is eight years Crichton’s senior, announced in August 2013 that he will retire from the bench on December 31, 2014. Because Judge Crichton will haver turned sixty by the time of the 2014 election., he can seek only one term on the Supreme Court because Louisiana state law forbids a lawyer aged seventy or above from qualifying for a judicial position. Judge Crichton is known for his conservative rulings and avoidance of judicial activism. Outside the courtroom, he works with elementary and high school students with his “Don’t Let This Be You” program, which focuses upon such subjects as drinking and driving, sexting, and recently personal defense. Students are encouraged to attend this event to hear Judge Crichton speak. 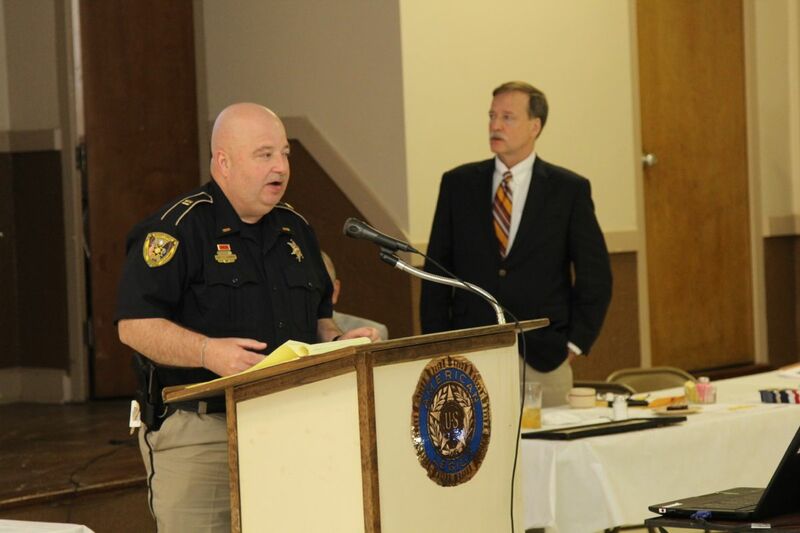 The Louisiana Sheriffs’ and Deputies’ Political Action Committee conducted a press conference on Friday, April 11, 2014 at 11:00 a.m. at the Petroleum Club at 416 Travis Street, #1500, Shreveport, LA 71101 to announce the official endorsement of Judge Scott Crichton for District 2, according to the Louisiana Sheriffs’ Association’s Political Action Committee Chairman, West Baton Rouge Parish Sheriff Mike Cazes. 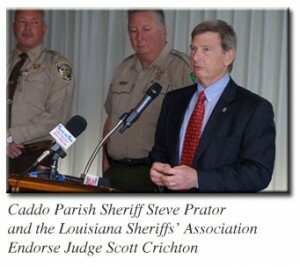 During the past 24 years of service as judge in Caddo Parish, Scott Crichton has been fully committed to the traditional Rule of Law as enacted by the state legislature with his rulings based on the evidence applied in a courteous, efficient and fair manner for the public safety and public good with a total commitment to honesty and fairness. The Committee to Elect Scott J. Crichton is humbly inspired by, and thankful for, the support that Judge Crichton’s candidacy has received during the past year. 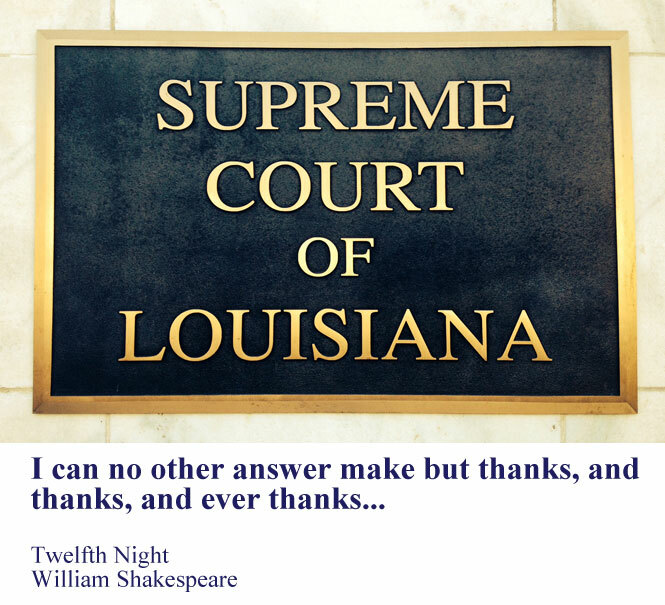 The Louisiana Supreme Court is our highest court in Louisiana and handles cases on a state-wide basis. 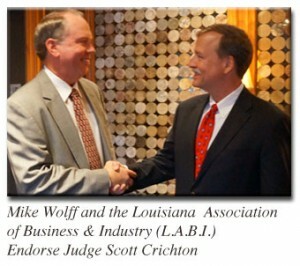 As the February 18 Candidate’s Report shows, individuals, families, and businesses across a broad spectrum of Louisiana have contributed to Judge Crichton’s campaign. 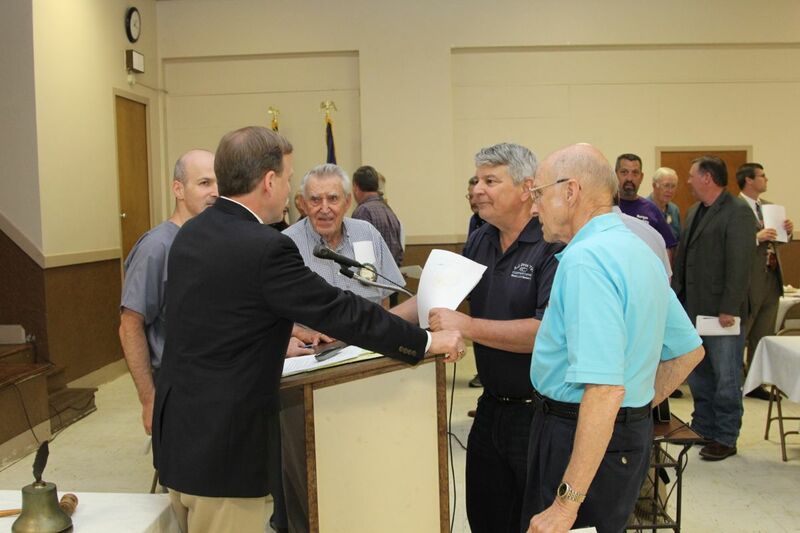 This broad spectrum of support reflects the essence of Judge Crichton’s 24 years as a well respected district court judge and also reflects the essence of his campaign for Louisiana Supreme Court. Regardless of level of income, status of litigants or size of the case, Judge Crichton always prepares, listens attentively, works hard, knows the issues and applies the law with honest fairness as the evidence dictates without resorting to judicial activism. In criminal trials, he is also conservative as well as tough on crime while following the dictates of the law. Reflecting the respect of people and business all across Louisiana for Judge Crichton, the report filed today shows contributions from individuals and families of various income levels and diverse backgrounds, small and large business owners, healthcare professionals and medical doctors, oil and gas related businesses, attorneys from the plaintiff and defense bar, CPAs, educators and community volunteers from all across the State of Louisiana. We are indeed thankful and proud to serve as officers in the campaign. 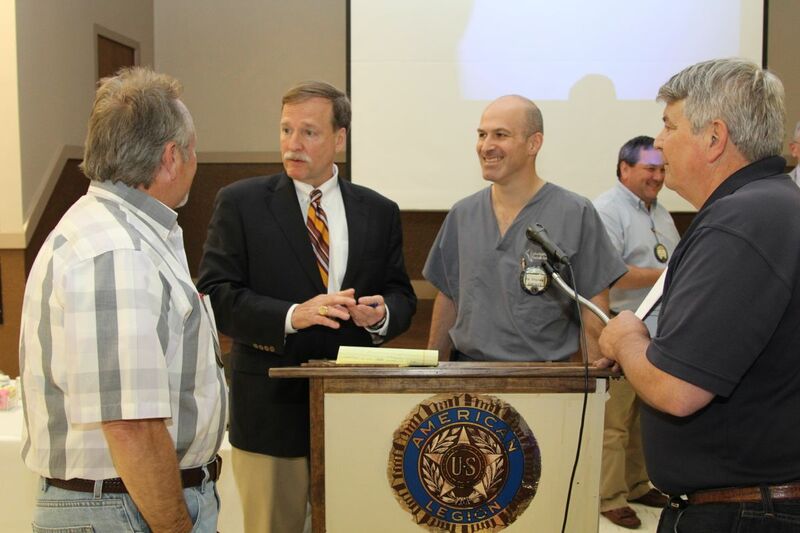 Should there be any questions, you may contact the Campaign at (318) 841-8000 or by e-mail at scott@scottforjustice.com. 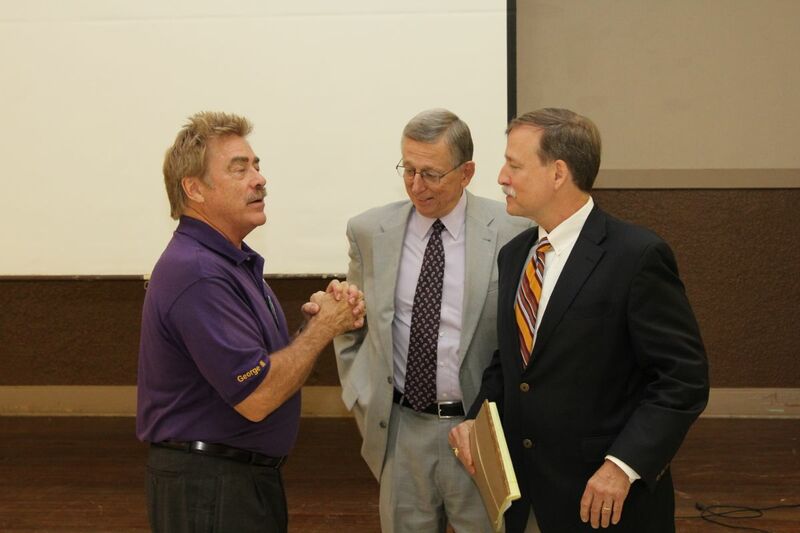 Crichton’s talk will be at noon at the D&W Business Center, 1434 Hawn Ave.
Crichton, a 1980 LSU Law School graduate, was sworn in as a Caddo district judge January 1, 1991 and since then has been re-elected to successive terms. Lunch will be $9 but it is free to listen. “Everybody who is anybody is here,” said columnist Lou Burnett, a respected political observer as he studied the crowd. You can bet they were schmoozing and working the high-powered crowd. Among the A-listers eating, drinking — wine, cokes or water — and being merry: state Rep. Henry Burns, Shreveport City Councilmen Oliver Jenkins and Jeff Everson, Community Activist Lloyd Thompson, Alexis Scott, Merritt and Virginia Chastain, Lee Davis, Lee Roy Clemons Jr., Bossier-Webster District Judge Parker Self, Susie Stinson who is court administrator for the 26th Judicial Court, Markey Washington, and Bossier Assistant District Attorney Santi Parks. More: Caddo Dist. 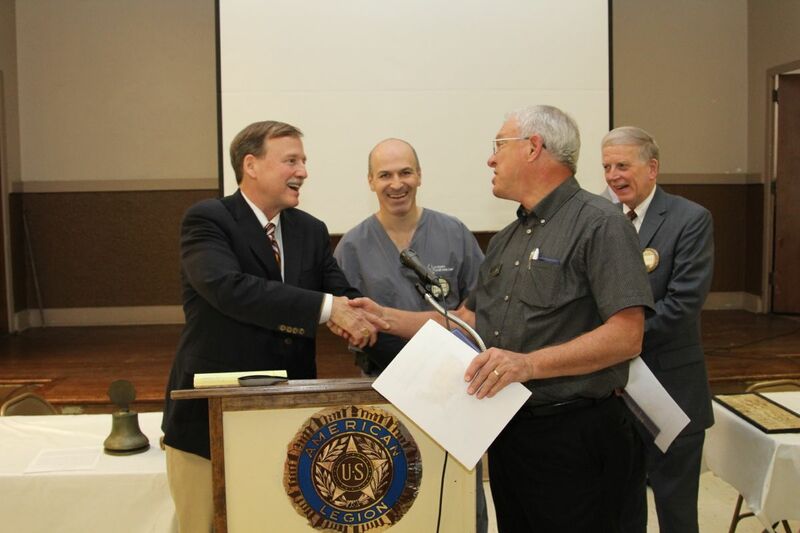 Judges John Mosely and Ramon Lafitte, Bossier Assessor Bobby Edmiston, 2 John’s proprietor John Montelepre, Roy Fletcher, Eric Johnson, David Wyndon, Bossier City Court Judge Tommy Wilson, Craig Marcotte, Shreveport City Court Judges Sheva Sims and Bill Kelley, Don Otis and Crichton campaign managers, Crichton’s wife, Susie Crichton, Debbie Martin and Carolyn Prator. 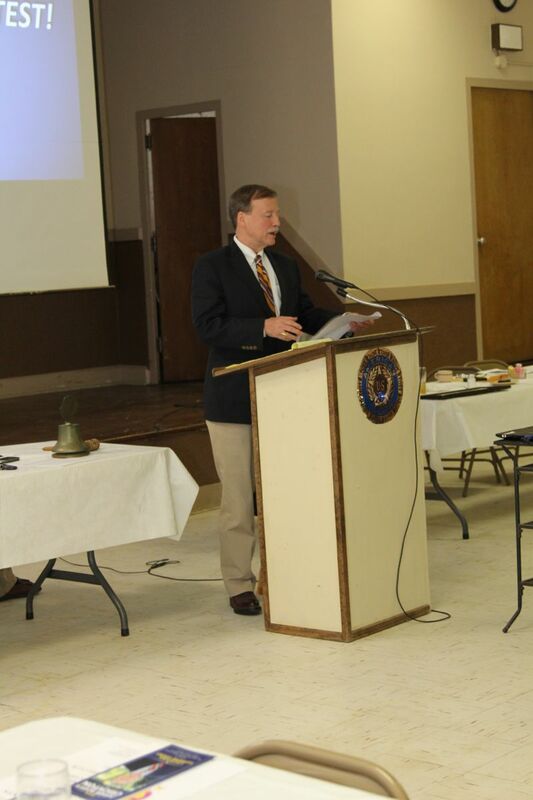 Although he is unopposed, Crichton is campaigning as though he is, and in his talk he touched on protection of the 2nd Amendment, the importance of prayer in the country’s creed and his crime prevention teen education program. The road to becoming a Louisiana Supreme Court Justice has gotten pretty smooth for Caddo District Court Judge Scott Crichton over the past several weeks. First off, the big break came when the two-term incumbent, Justice Jeff Victory of Shreveport, decided not to seek a third term. That development spurred rumors of two potential opponents for Crichton, who had become the lone candidate for the coveted seat on the state’s high court. But Judge Jay Caraway of the 2nd Circuit Court of Appeal and Sabine Parish District Judge Stephen Beasley both decided not run. It is not surprising, therefore, that Crichton now needs a larger bandwagon. That was evident this past week at a fundraiser held at 2Johns Restaurant in Bossier City. Among the overflow crowd were area judges, sheriffs, district attorneys, judges, assessors, state legislators – you name it. It was the place to be seen. Nevertheless, Crichton is taking all the growing support for his candidacy without being over-confident. He says he will continue to run as though he has an opponent and will campaign in all 11 parishes in the judicial district. It is still early – the election is not until the fall of 2014 – and it is quite possible that an opponent could surface somewhere along that road. But with 58% of the registered voters residing in Caddo and Bossier parishes, it seems he has solid support in those two parishes. Judge Beasley, in announcing he would not run, said it will be hard for someone from one of the rural parishes to be competitive. There has been a significant development in judicial circles in our part of the state which has been virtually ignored by the local mainstream media. Why? I don’t know. But here is what has happened. Louisiana Supreme Court Justice Jeff Victory, who was facing re-election for a third 10-year term on the state’s high court in 2014, was going to run — so everyone thought. But months ago, Caddo District Judge Scott Crichton of Shreveport announced he was going to seek the Supreme Court seat and oppose Victory. To do so, he was giving up a safe district court seat because all district court judges face re-election at the same time the Supreme Court race is on the ballot. 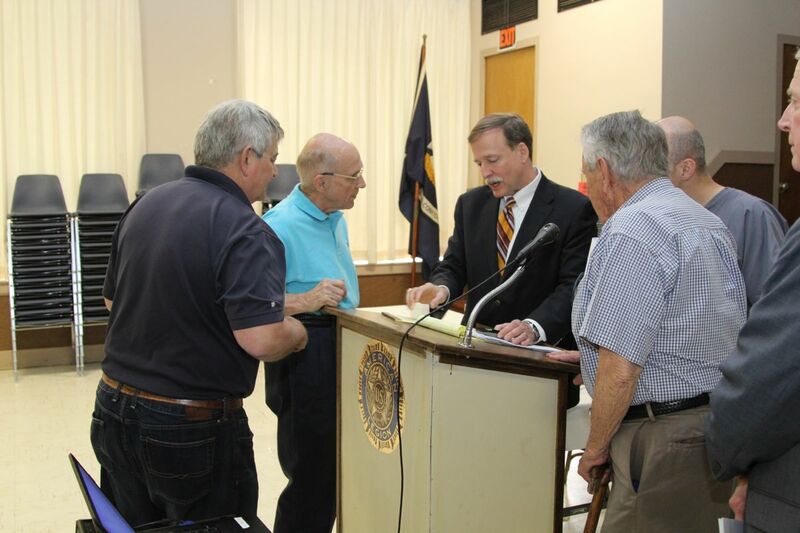 Crichton, who has been on the district court bench for 23 years, made his decision because of a provision in the Louisiana Constitution that says no one can run for judge if he or she is 70 years or older. Crichton could not wait for another 10 years to pass because by the time the Supreme Court election rolled around in 2020, he would be unable to run because he would be past 70 years of age. 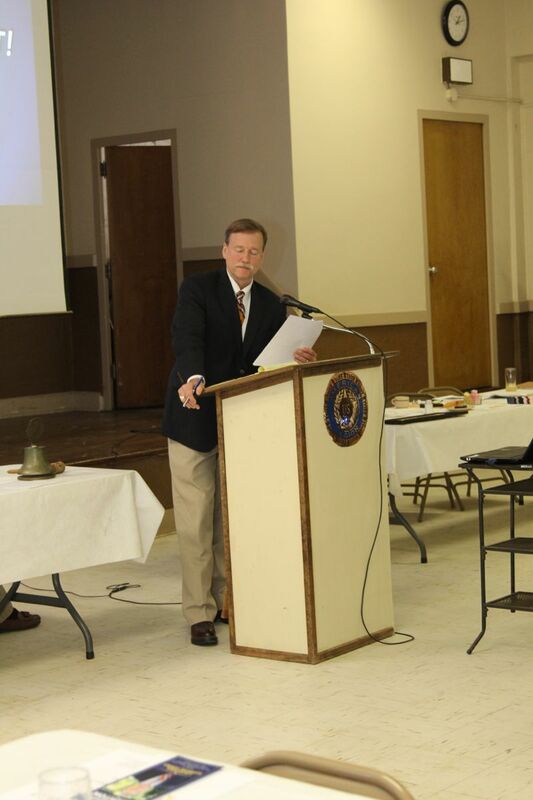 After Crichton declared his candidacy, Victory announced that he would run for a third term. But on July 30, I broke the story in my Fax-Net Update, which made statewide news, that Victory had decided to retire. Victory has not made a public statement to that effect, but I based my exclusive on reliable sources with whom Victory or his wife had spoken. The news of Victory’s retirement caught many politicos by surprise. He has served on the Supreme Court for what will be 20 years and has a total of 33 years of judicial service, having served on the Caddo District Court and the 2nd Circuit Court of Appeal before being elected to the state’s high court. To be sure, if anyone ever earned a retirement, Victory has, and our area will certainly give him plaudits for his exemplary service. Victory’s retirement left Crichton without an opponent for the judicial plum. 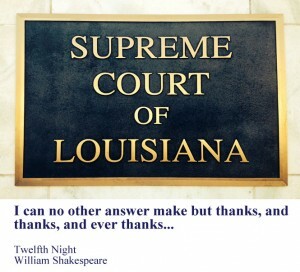 After all, the Louisiana Supreme Court is to the state what the U.S. Supreme Court is to the nation. Most judges dream of one day serving on the state Supreme Court. So the rumor mill went into high gear, saying that Judge Jay Caraway of Bossier City, who is on the 2nd Circuit Court of Appeal, was considering the state Supreme Court race. Caraway is serving his second 10-year term on the Court of Appeal. But, once again, my Fax-Net was able to publish an exclusive. After talking with Caraway, he revealed to me that he had decided not to run. “I enjoy my present job on the Court of Appeal, and I plan to stay there. I wish Scott the best of luck,” he said. Other sources reported that no one on the Caddo District Court or the 2nd Circuit Court of Appeal was interested in opposing Crichton. So, one again, Crichton remained the lone candidate for the District 2 seat on the seven-member Louisiana Supreme Court. The 2nd District is comprised of the following parishes: Caddo, Bossier, Webster, DeSoto, Red River, Sabine, Natchitoches, Vernon, Beauregard, Allen, and Evangeline. Any sitting judge, district attorney or assistant district attorney can be a candidate for the Supreme Court, as can any attorney who has practiced law for at least 10 years. Politicos believe that it would be extremely rare for someone to go unopposed for an open seat on the state Supreme Court, so the rumor mill shifted gears and was saying that District Judge Stephen Beasley of Sabine Parish was going to run. Beasley had run against Victory in 2004 and received 39 percent of the vote. So that was my cue to call Judge Beasley to see if he was interested in the race. Beasley told me he is not going to run for the Supreme Court and would seek re-election to the Sabine Parish District Court. He noted that he is the lone judge in the parish, and he likes that responsibility. 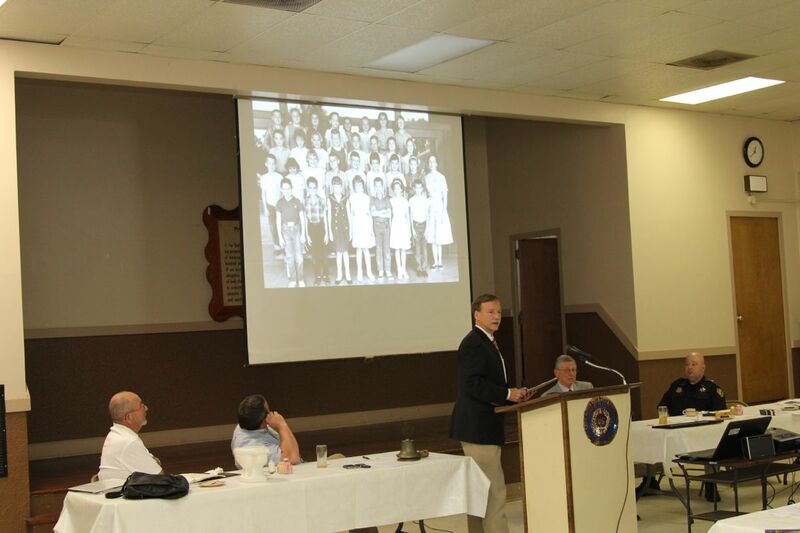 He also ws well aware that 58 percent of the registered voters in the judicial district reside in Caddo and Bossier parishes. And that reality presented a huge challenge to anyone from outside of those two parishes to mount a viable campaign against Crichton. After I revealed that information, the rumor mill has been quiet, and no other potential candidates are being mentioned. 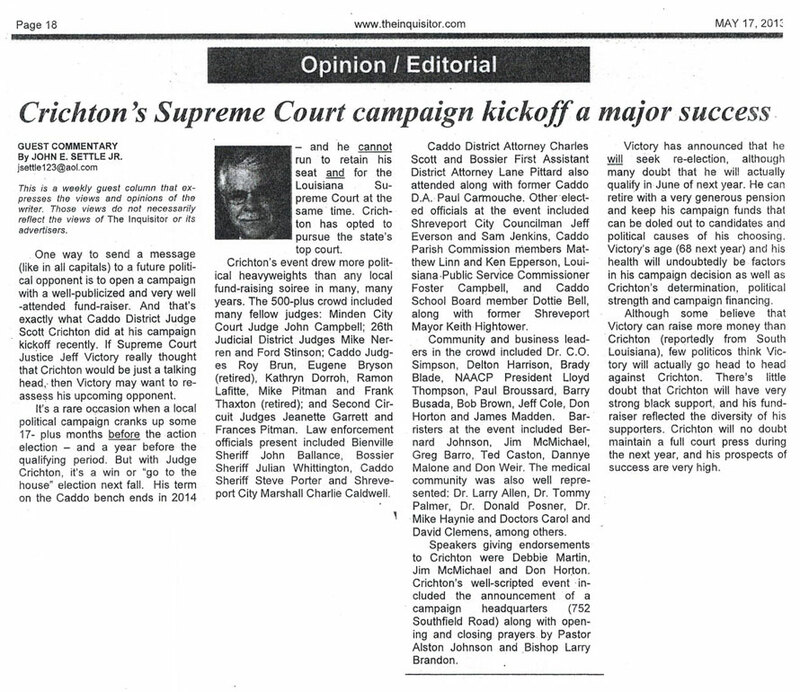 To his credit, the popular Crichton has exhibited a brilliant campaign strategy, which has put him in great shape to win the coveted Supreme Court seat. He announced early and has been holding fundraisers, attended by overflow crowds, as well as lining up support from judges, attorneys, and elected officials. But don’t expect Crichton to let up. He remains in full campaign mode and is traveling the district to shore up support in the rural parishes. In other words, he continues to run as though he has an opponent. There is nothing more uncertain than political elections, and there is still a long way to go in this one. Qualifying is not until August 20-22, 2014. The election is scheduled for November 4, 2014. There is a Louisiana Supreme Court robe hanging on the rack, but finding anyone who wants to challenge Caddo District Court Judge Scott Crichton for it is proving to be an elusive proposition. The latest potential candidate, District Court Judge Stephen Beasley of Sabine Parish tells the Fax-Net that he is not going to run. He challenged then-incumbent Justice Jeff Victory for the seat in 2004 and received 39% of the vote. His decision not to run follows in the footsteps of Judge Jay Caraway of the 2nd Circuit Court of Appeal. The Fax-Net revealed last week that Caraway will not seek the seat. Currently, no other names are being mentioned as potential candidates, leaving Crichton the lone declared candidate so far. The election is scheduled for the fall of 2014. Beasley, who ran as a Democrat in 2004 against Victory, said that he is now an independent, which, in Louisiana, means he is “No Party.” He said he will run for re-election to his district court seat. 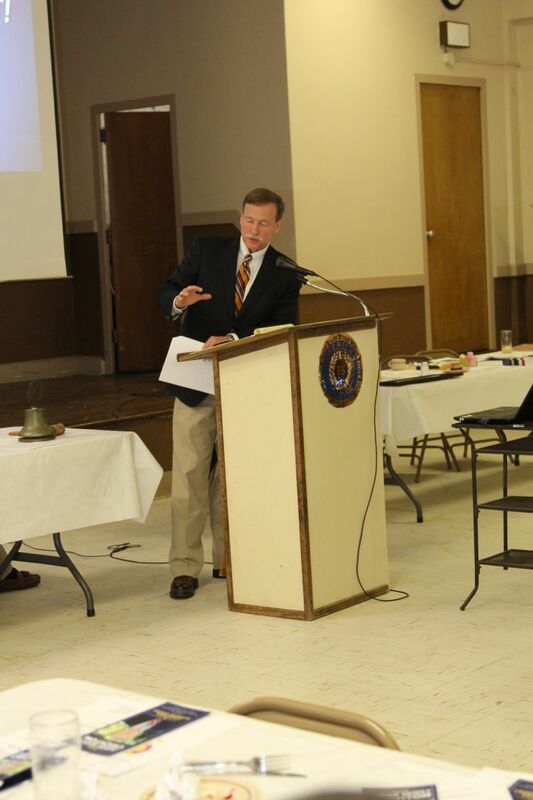 “I am the only district court judge in all of Sabine Parish, and I am happy with being that,” Beasley noted. If he chose to run for the Louisiana Supreme Court, he would have to give up his district court position. That’s a dilemma for district court judges who might have an interest in the state’s high court because all of them are up for re-election at the same time as the Supreme Court race. 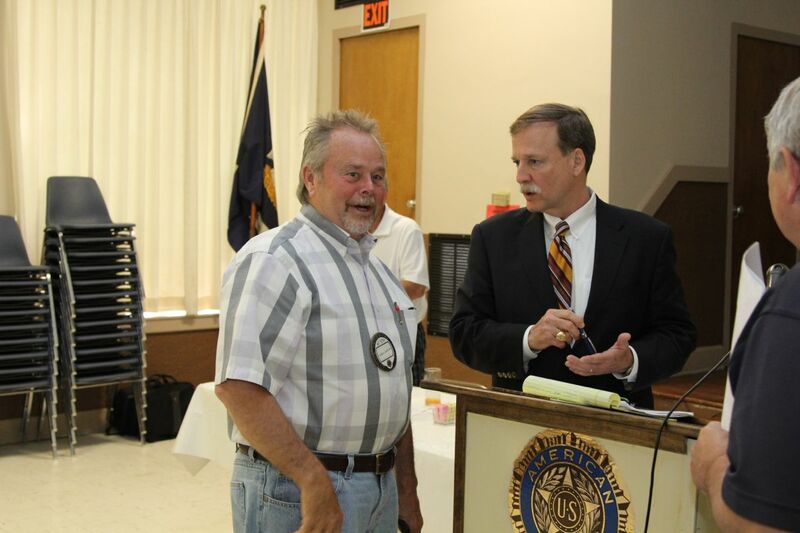 The stars seem to have aligned for Crichton, who has been a district court judge for 23 years. He announced early he would seek the coveted seat and oppose Victory, who is concluding his second 10-year term on the Supreme Court. That move was cause for pause for most judges who may have been casting an eye at the seat if Victory had announced he would not run for re-election to a third term. At the time of Crichton’s declaration, Victory said he would seek re-election, but subsequently decided to retire, leaving Crichton with a huge head-start over anyone else who was thinking about running. Crichton has secured the support of most who are major players in judicial elections, and he has been raising money throughout the district. One can expect the Crichton bandwagon to get even more crowded now that the two judges most mentioned as possible opponents have both opted out of the race. Crichton is not taking anything for granted, however. He says he will continue to campaign as if he has an opponent, realizing how uncertain politics can be in Louisiana. Judge Crichton has a fundraiser scheduled for Monday, August 26 from 5:30 p.m. to 7:30 p.m. at 2Johns Restaurant, 2151 Airline Drive, Bossier City. Tickets are $500 per person or per couple. 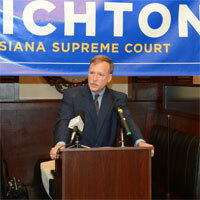 For more information, call Crichton’s campaign headquarters at 318-841-8000. Judge Jay Caraway of the 2nd Circuit Court of Appeal will not run for the Louisiana Supreme Court seat being vacated by Justice Jeff Victory. The political rumor mill had been prominently mentioning Caraway’s name as a potential candidate once Victory decided not to seek re-election, leaving Caddo District Court Judge Scott Crichton as the only candidate in the race. 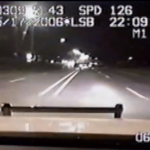 Caraway told the Fax-Net: “I am not going to do it. I enjoy my present job on the Court of Appeal, and I plan to stay there. 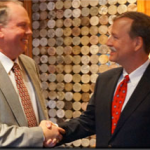 I wish Scott the best of luck.” Caraway is serving his second 10-year term. The Fax-Net broke the story in its July 30 issue that Victory, who has been the justice from the 2nd District on the seven-member Louisiana Supreme Court for 20 years, would not seek a third term. While Victory has not publicly announced his retirement, reliable sources close to Victory confirmed that he is hanging up his robe after 33 years of judicial service, having also served on the Caddo District Court and the 2nd Circuit Court of Appeal. 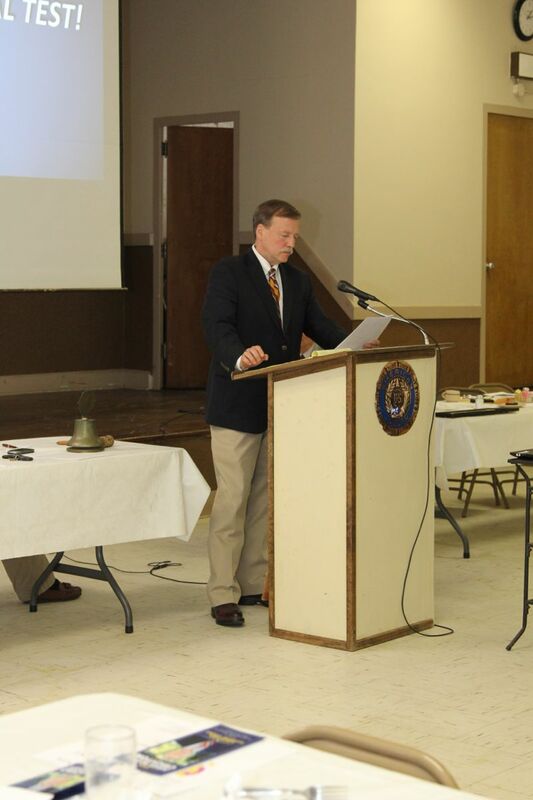 One other name is being mentioned as a possible candidate – District Court Judge Stephen Beasley of Sabine Parish. He ran against Victory in 2004 and received 39% of the vote. But the decision for Beasley will not be an easy one. He will have to give up his district court seat because all district court judges are up for re-election at the same time as the Louisiana Supreme Court race. And, he had a tough race when he ran for re-election in 2008, winning another term on the district court by only 80 votes. 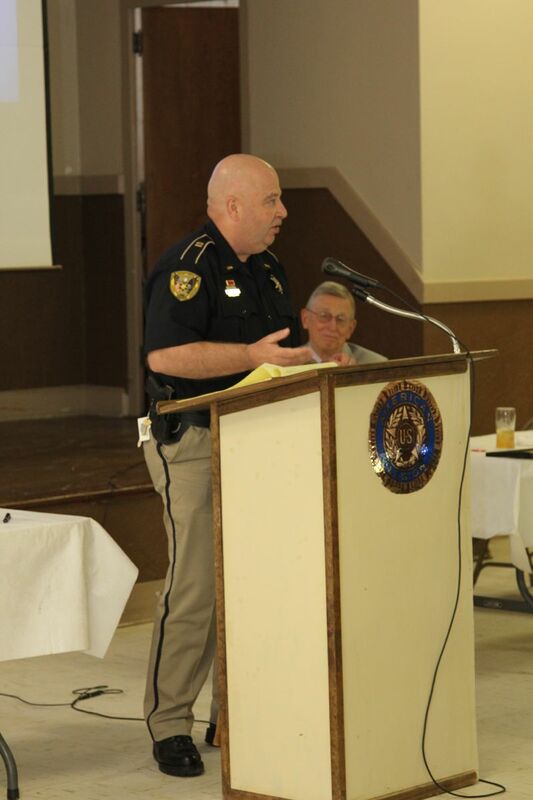 Crichton has served on the Caddo District Court for 23 years. 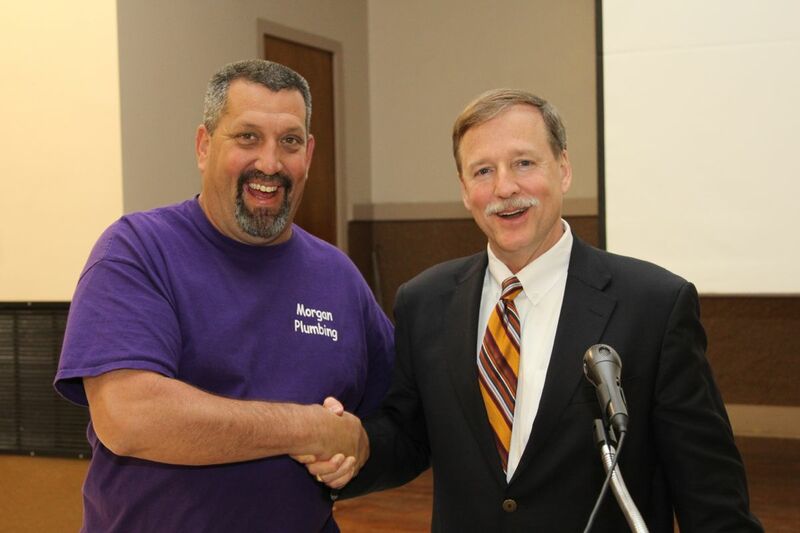 He, too, is giving up his district court seat to run for the state’s high court. He has said he did so because no one can run for a judicial seat if he or she is 70 years of age or older. Crichton will be just past 60 when he runs in 2014. He would not be able to run for the high court, therefore, if he waited another 10 years. All sitting judges are eligible to run for the Louisiana Supreme Court, but they must reside in the judicial district. So can district attorneys and assistant district attorneys, and just plain attorneys, if they have practiced law for at least 10 years. Crichton’s early entry into the race, and the subsequent retirement of Victory, leaves any potential candidate with a lot of ground to make up relative to name recognition and money. Crichton is receiving strong support from attorneys and political movers and shakers from throughout the judicial district as his campaign moves into high gear. His fundraisers have been attended by overflow crowds and more are scheduled. Among registered voters in the 2nd District, 58% reside in Caddo and Bossier parishes. It is unlikely any candidate from outside of those two parishes could be competitive against the popular Crichton – and no one in those two parishes now seem inclined to run. But there is still a long way to go. Qualifying for this judicial seat is not until August 20-22, 2014. 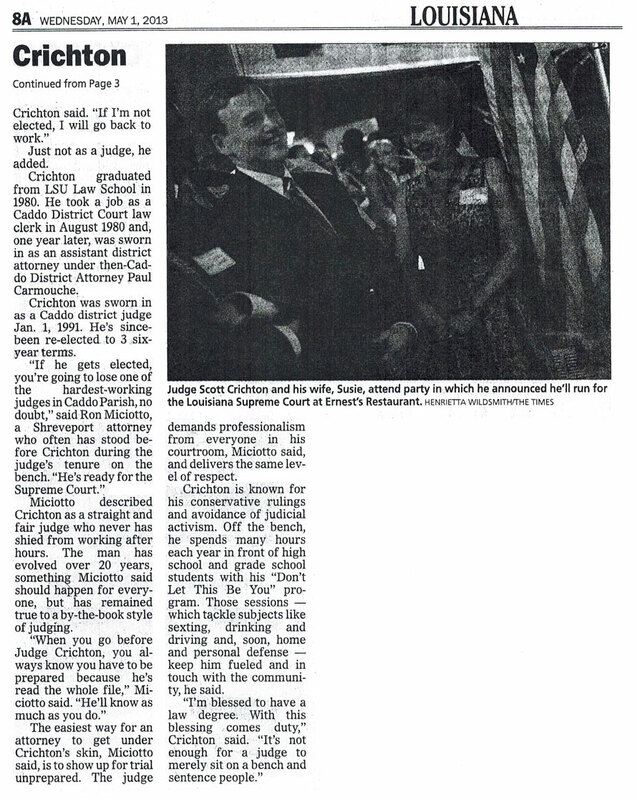 When contacted by the Fax-Net, Crichton said, “I commend Justice Victory on three decades of judicial service, and I wish him and his family the very best.” For now, Crichton, a Republican, is the lone candidate in the race for the 2nd District seat on the seven-member Louisiana Supreme Court. The election is scheduled for the fall of 2014. There are 409,524 registered voters in the 2nd District. Of that total, 258,949 or 63% are white, 133,791 or 33% are black, and 16,784 or 4% are other races. By party affiliation, 192,244 or 47% are Democrats, 119,704 or 29% are Republicans, and 97,576 or 24% are Other Parties. Interestingly, of the total number of registered voters in the district, 237,436 or 58% reside in Caddo and Bossier parishes. 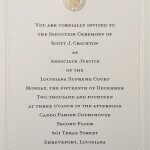 A seat on the Louisiana Supreme Court is certainly a judicial plum, and it is unlikely that Crichton will be unopposed. 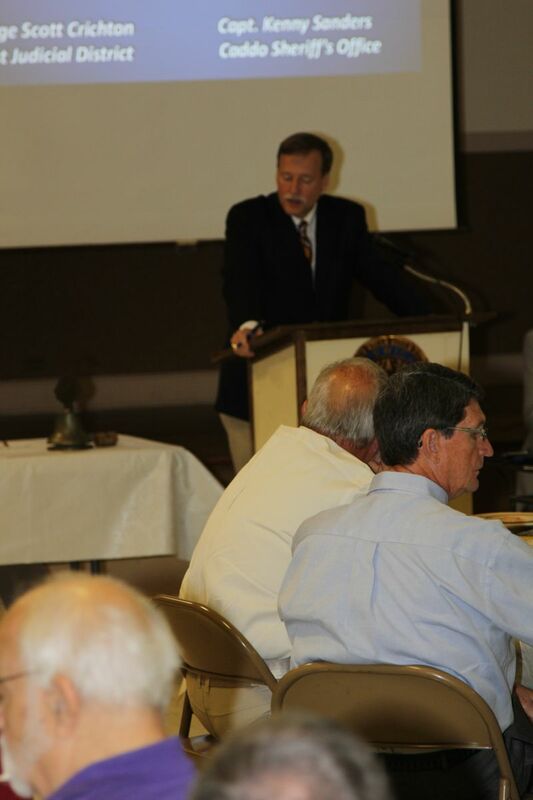 Judge Scott J. Crichton, a 23-year veteran on the First Judicial District Court, presented the Natchitoches Rotary Club with a very timely program on the 2nd Amendment which focused on gun rights, permits, and self protection law. 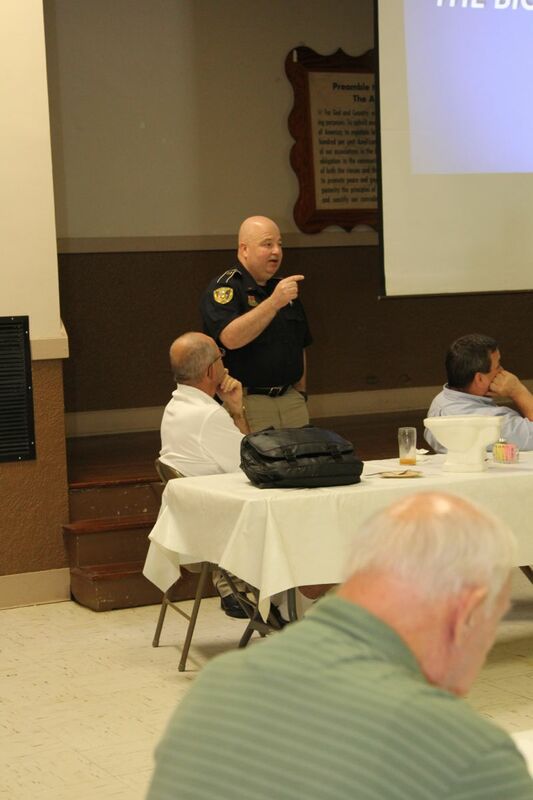 He was joined in the presentation by Lt. Steven Joe, the Training Academy officer for the Caddo Parish Sheriff’s Office who addressed the common misconceptions on gun rights, the process for concealed carry permits, and carry restrictions. 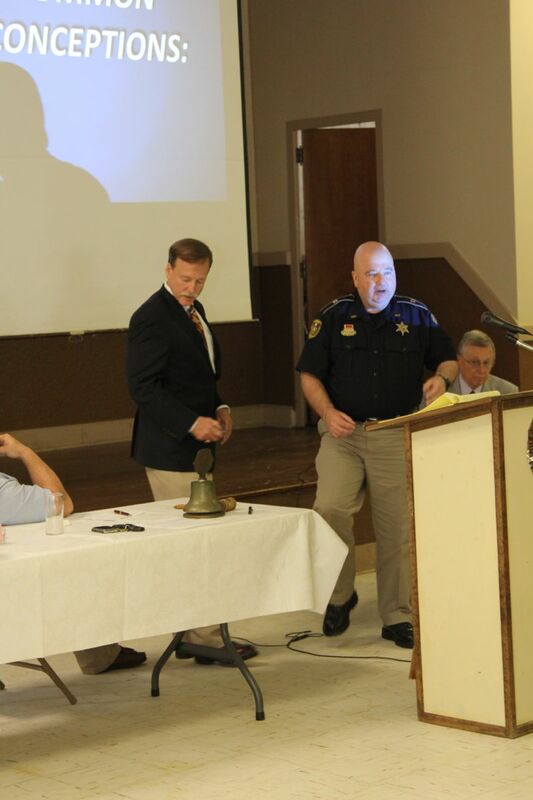 Judge Crichton and Lt. Joe also covered Louisiana law and recent state cases related to self defense and advised everyone that the first action in case of threat of bodily harm should be to contact local law enforcement where possible. 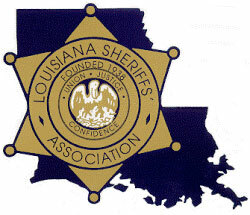 Information on concealed carry permits is available from your local sheriff’s office or the Louisiana State Police. 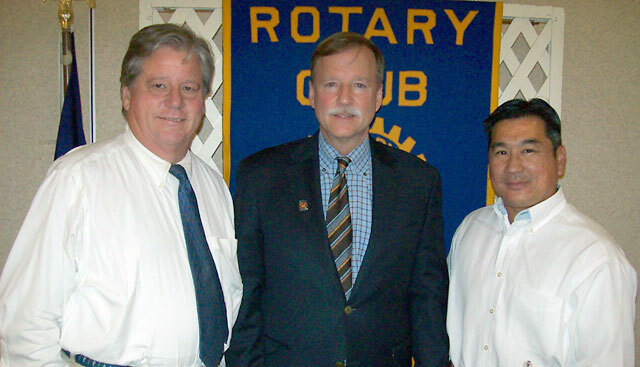 Pictured from left to right are the Rotarian with the program, John Luster; Judge Crichton, and Lt. Joe. 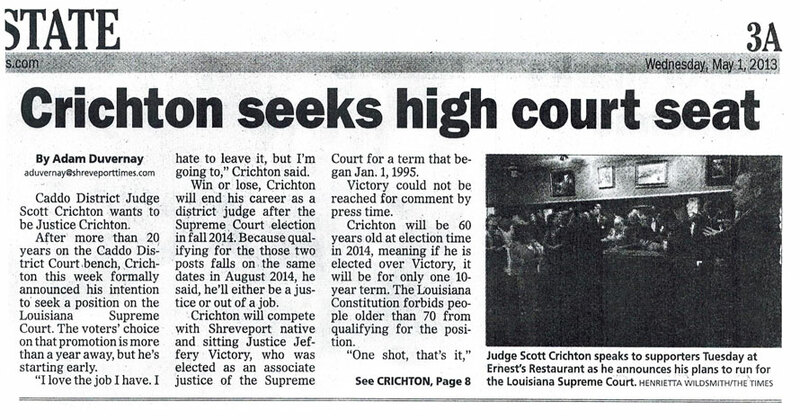 The 2014 Louisiana Supreme Court election is coming into view and the campaign to elect Judge Scott Crichton is well underway. A crowd of over 500 attended his campaign announcement party on April 29th at Ernest’s Orleans restaurant in Shreveport, LA. 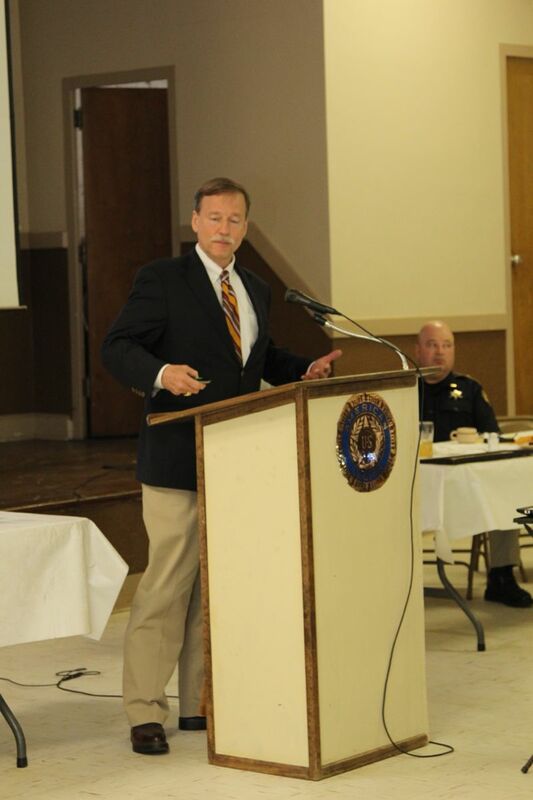 The event included many fellow judges and law enforcement officials from around the state. 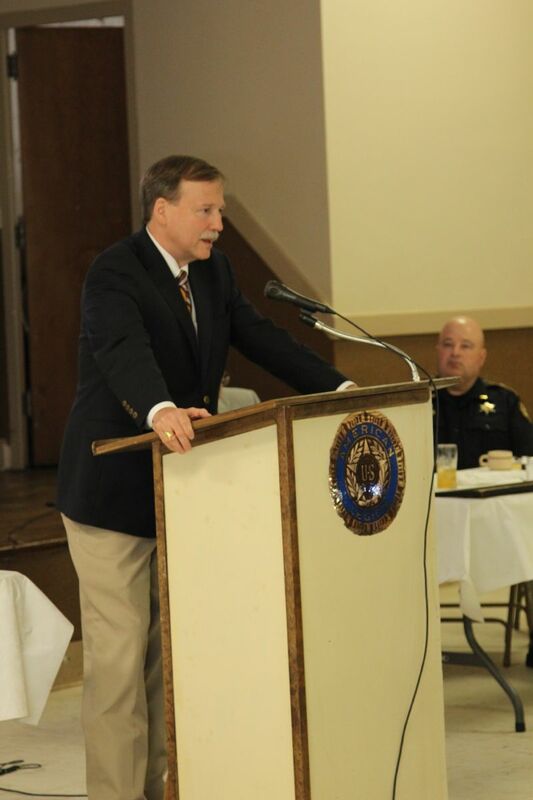 Judge Crichton remained very busy in the months of May and June speaking to various community organizations on topics ranging from gun control to the public impact of drunk driving while he continued attending fundraising events throughout the state. The Louisiana Supreme Court is composed of seven justices elected from districts throughout Louisiana, with one justice elected from each of the districts. Judge Scott Crichton is running for Second District. Each justice of the Louisiana Supreme Court serves a 10 year term of office. The Lousiana Supreme Court election will be held on Dec 16, 2014. Local politicos consider it big plus for the campaign of District Court Judge Scott Crichton, who is running for a seat on the Louisiana Supreme Court. 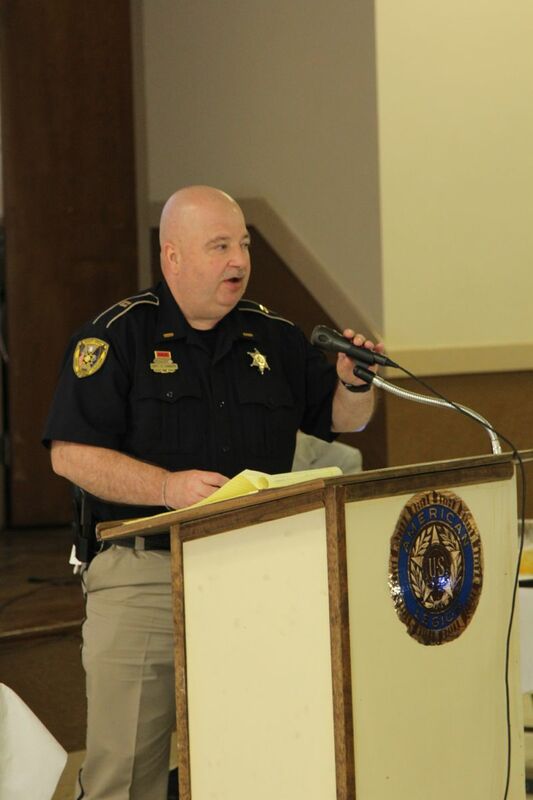 He has announced that Carolyn Prator, wife of Caddo Parish Sheriff Steve Prator, will be co-manager of his judicial campaign along with Crichton’s wife, Susie. Crichton is challenging incumbent Associate Justice Jeff Victory, who has held the District 2 seat on the seven-member Louisiana Supreme Court since 1995. Both are Republicans. For Crichton, who has been a District Court judge for more than 20 years, it’s an all-or-nothing scenario. That’s because it’s a rarity when the election for District Court judge and Louisiana Supreme Court judge occur at the same time. In 2014, that’s the case. So Crichton has to give up his District Court seat to run for Justice on the state’s highest court. His decision was prompted by state law, which says one cannot run for judge if he or she is 70 years of age or older. Crichton will be just past 60 when the election rolls around in 2014. Since the term on the Louisiana Supreme Court is for 10 years, he would not be able to run in 2024. Basically, it’s now or never for him to seek a seek on the Louisiana Supreme Court. Justice Victory has worn the judicial robe for 32 years. In 1981, he was elected to the First Judicial District Court, and in 1990 was elected to the Second Circuit Court of Appeal for a term beginning January 1, 1991. He served there until he was elected as an Associate Justice of the Louisiana Supreme Court for a term beginning on January 1, 1995. Victory will be 68 at the time of the 2014 election, so he is eligible for one more 10-year term. Louisiana Supreme Court District 2 consists of 11 parishes – Caddo, Bossier, Webster, DeSoto, Red River, Sabine, Natchitoches, Vernon, Beauregard, Allen, and Evangeline. Crichton’s campaign headquarters is located at 725 Southfield Road. The phone number is 318-841-8000. 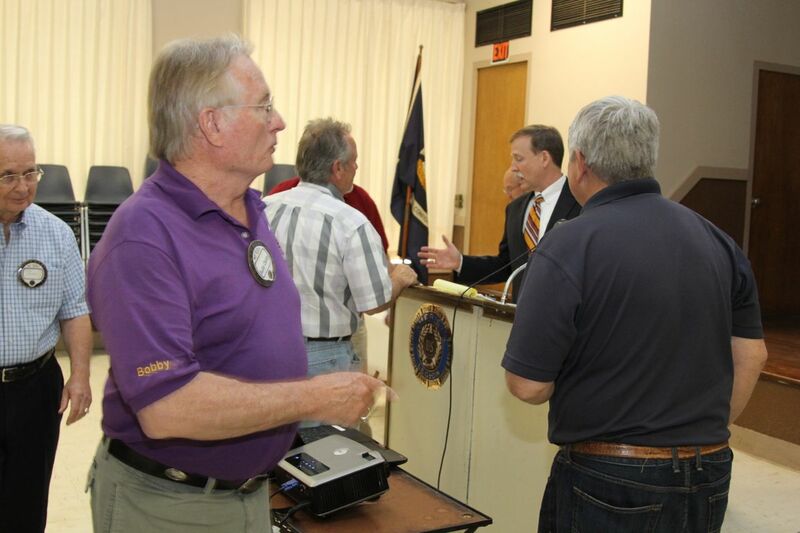 Qualifying for the election is August 20-22, 2014. The primary election is November 4, and the runoff, if needed, is December 6. One way to send a message (like in all capitals) to a future political opponent is to open a campaign with a well-publicized and very well-attended fund-raiser. And that’s exactly what Caddo District Judge Scott Crichton did at his campaign kickoff recently. If Supreme Court Justice Jeff Victory really thought that Crichton would be just a talking head, then Victory may want to reassess his upcoming opponent. It’s a rare occasion when a local political campaign cranks up some 17 plus months before the action election – and a year before the qualifying period. But with Judge Crichton, it’s a win or “go to the house” election next fall. His term on the Caddo bench ends in 2014 – and he cannot run to retain his seat and for the Louisiana Supreme Court at the same time. Crichton as opted to pursue the state’s top court. Crichton’s event drew more political heavyweights than any local fund-raising soiree in many, many years. 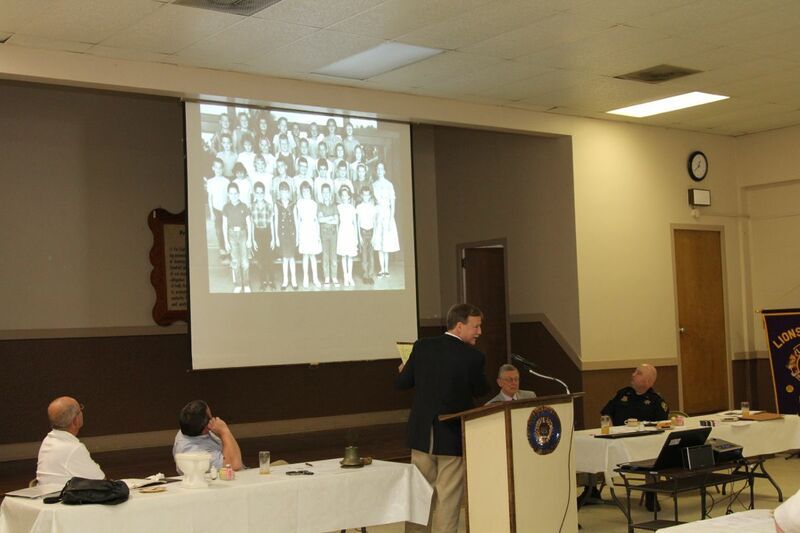 The 500-plus crowd included many fellow judges: Minden City Court Judge John Campbell; 26th Judicial District Judges Mike Nerren and Ford Stinson; Caddo Judges Roy Brun, Eugene Bryson (retired), Kathryn Dorroh, Ramon Lafitte, Mike Pitman and Frank Thaxton (retired); and Second Circuit Judges Jeanette Garrett and Frances Pitman. Law enforcement officials present included Bienville Sheriff John Balance, Bossier Sheriff Julian Whittingong, Caddo Sheriff Steve Prator and Shreveport City Marshall Charlie Caldwell. Caddo District Attorney Charles Scott and Bossier First Assistant District Attorney Lane Pittard also attended along with former Caddo D.Ap. Paul Carmousche. Other elected officials at the event included Shreveport City Councilman Jeff Everson and Sam Jenkins, Caddo Parish Commission members Matthew Linn and Ken Epperson, Louisiana Public Service Commissioner Foster Campbell, and Caddo School Board member Dottie Bell, along with former Shreveport Mayor Keith Hightower. 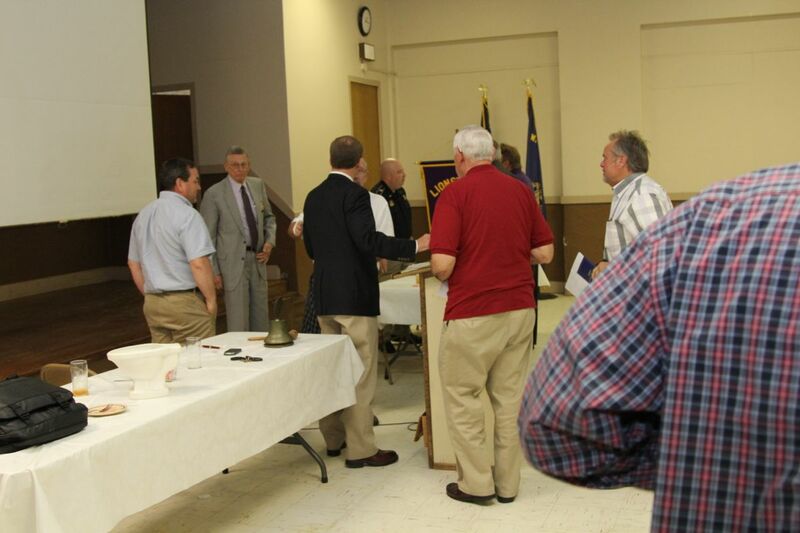 Community and business leaders in the crowd included Dr. C.O. Simpson, Delton Harrison, Brady Blade, NAACP President Lloyd Thompson, Paul Broussard, Barry Busada, Bob Brown, Jeff Cole, Don Horton and James Madden. 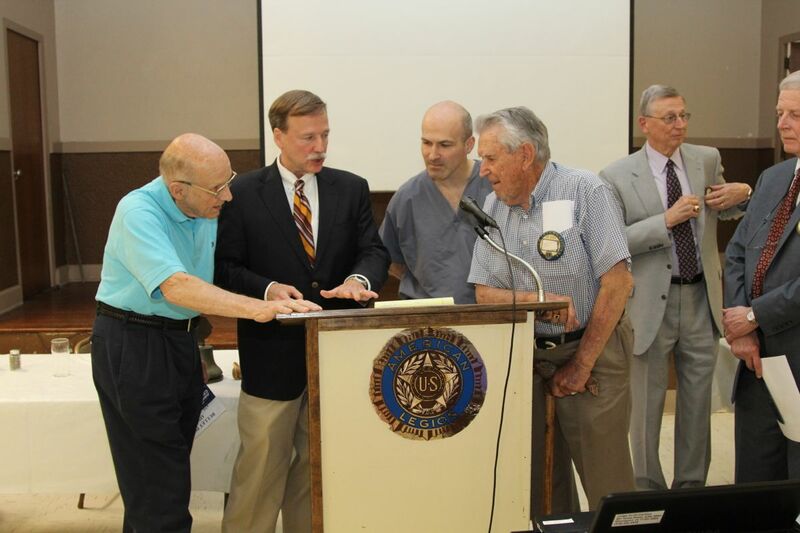 Barristers at the event included Bernard Johnson, Jim McMichael, Greg Barro, Ted Caston, Dannye Malone and Don Weir. 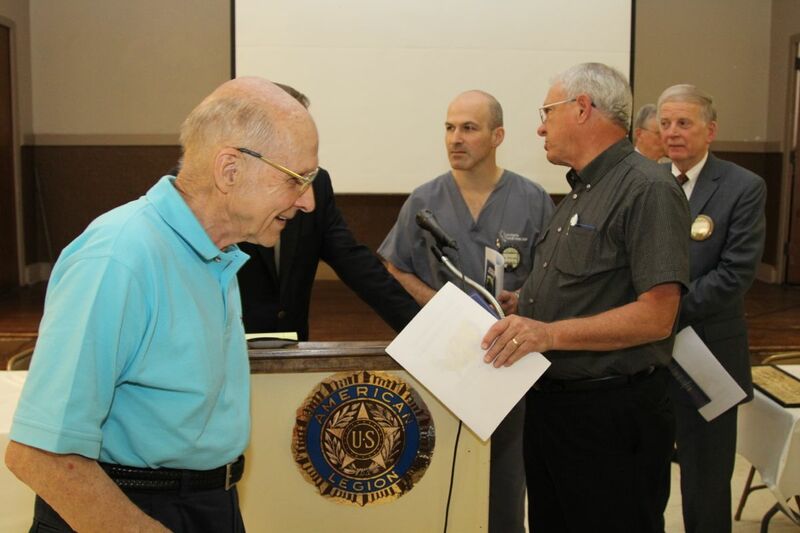 The medical community was also well represented: Dr. Larry Allen, Dr. Tommy Palmer, Dr. Donald Posner, Dr. Mike Haynie and Doctors Carol and David Clemens, among others. Speakers giving endorsements to Crichton were Debbie Martin, Jim McMichael and Don Horton, Jim McMichael and Don Horton. Crichton’s well-scripted event included the announcement of a campaign headquarters (752 Southfield Road) along with opening and closing prayers by Pastor Alston and Bishop Brandon. Victory has announced that he will seek re-election, although many doubt that he will actually qualify in June of next year. He can retire with a very generous pension and keep his campaign funds that can be doled out to candidates and political causes of his choosing. Victory’s age (68 next year) and his health will undoubtedly be factors in his campaign decisions as well as Crichton’s determination, political strength and campaign financing. Although some believe that Victory can raise more money that Crichton (reportedly from South Louisiana), few politicos think Victory will actually go head to head against Crichton. There’s little doubt that Crichton will have very strong black support, and his fund-raiser reflected the diversity of his supporters. Crichton will no doubt maintain a full court press during the next year, and his prospects of success are very high. 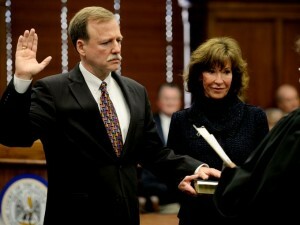 Caddo District Judge Scott Crichton wants to be Justice Crichton. 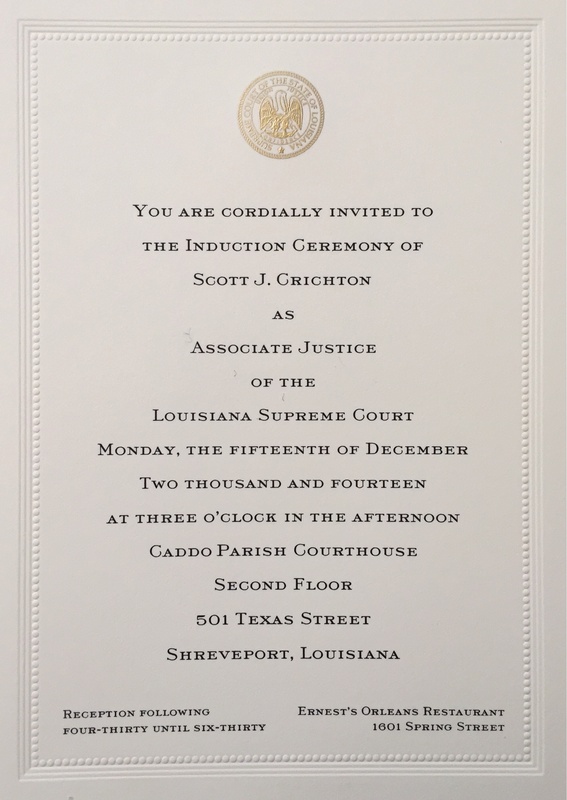 After more than 20 years on the Caddo District Court bench, Crichton this week formally announced his intention to seek a position on the Louisiana Supreme Court. The voters’ choice on that promotion is more than a year away, but he’s starting early. “I love the job I have. I hate to leave it, but I’m going to,” Crichton said. 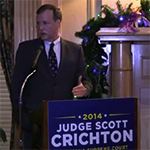 Win or lose, Crichton will end his career as a district judge after the Supreme Court election in fall 2014″. Because qualifying for the those, two posts falls on the same dates in August 2014, he said, he’ll either be a justice or out of a job. Crichton will compete with Shreveport native and sitting Justice Jeffery Victory, who was elected as an associate justice of the Supreme Court for a term that began Jan. 1,1995. Victory could not be reached for comment by press time. Crichton will be 60 years old at election time in 2014, meaning if he is elected over Victory, it will be for only one 10-year term. The Louisiana Constitution forbids people older than 70 from qualifying for the position. “One shot, that’s it,” as Crichton said. “If I’m not elected, I will go back to work.” Just not as a judge, he added. Crichton graduated from LSU Law School in 1980. He took a job as a Caddo District Court law clerk in August 1980 and, one year later, was sworn in as an assistant district attorney under then-Caddo District Attorney Paul Carmouche. Crichton was sworn in as a Caddo district judge Jan. 1, 1991. He’s since been re-elected to 3 six-year terms. “When you go before Judge Crichton, you always know you have to be prepared because he’s read the whole me,” Miciotto said. “He’ll know as much as you do.” The easiest way for an attorney to get under Crichton’s skin, Miciotto said, is to show up for trial unprepared. The judge demands professionalism from everyone in his courtroom, Miciotto said, and delivers the same level of respect. touch with the community, he said. After considerable thought, family discussion and prayer, I am pleased to announce that I am a candidate for the Louisiana Supreme Court, District 2, which election will be held in the fall of 2014. The district covers 11 parishes. 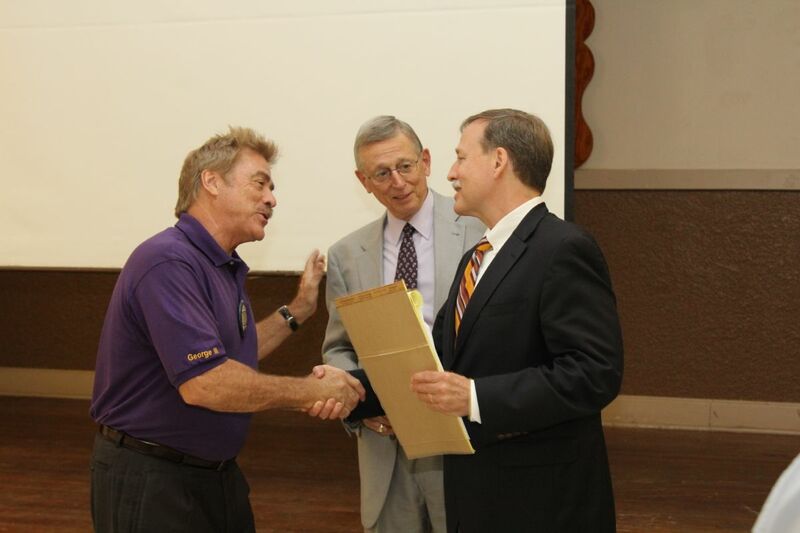 A 1980 graduate of LSU Law School, I have now served as a lawyer, prosecutor and judge for more than three decades – 10 years as an assistant district attorney and civil practitioner and over 22 years as a district judge, where I have presided over more than 25,000 civil and criminal cases. I view the position of judge as a tremendous honor, and I have enjoyed my work immensely. Continuing Legal Education Committee of the Shreveport Bar Association (Co-Chair) and Louisiana State Bar Association. I am Immediate Past President of the Louisiana District Judges Association (2011-2012) and have served on the Louisiana Supreme Court Committee on Judicial Ethics (2011-2012). 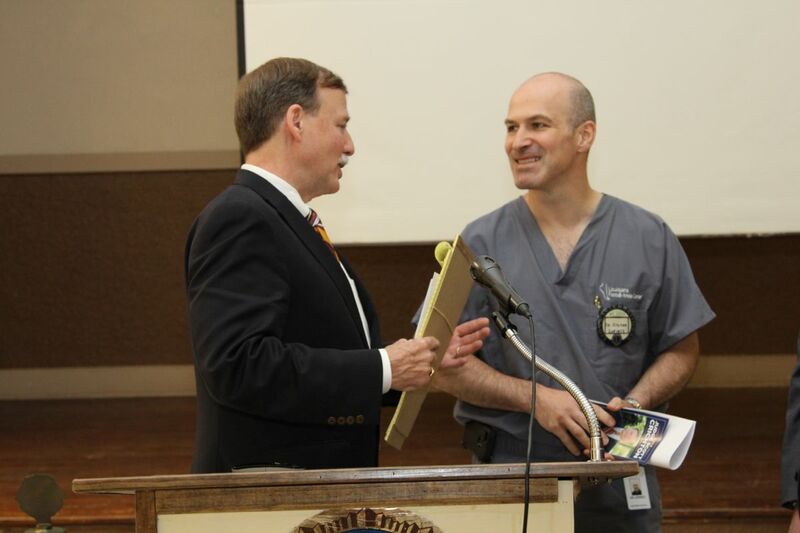 “No More Strikes”, a program for inmates in The Department of Corrections Reentry Program, the purpose of which is to educate inmates on the laws that impact their status as convicted felons, to change attitudes and, hopefully, reduce recidivism! “Bullet Points on the Second Amendment: Guns, Permits and Self Protection” which provides adults information and insight on self defense and home protection. After speaking to a number of people in our community, I am very encouraged by the enthusiastic response my candidacy has received. I believe that my integrity, work ethic and community involvement merits promotion to the Supreme Court. 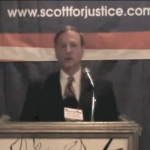 You may contact me by e-mail at scott@scottforjustice.com, by phone at (318) 841-8000, or by mail at P.O. Box 3844, Shreveport, LA 71133. You are invited to visit me after work hours and on weekends at my campaign office located at 725 Southfield Road (behind Rhino Coffee). Of course, all of the above are paid for by campaign committee funds in accordance with law. I ask for your support, your precious time and advice for the challenge that lies ahead, and I look forward to serving our communities and the State of Louisiana as your Supreme Court Justice. 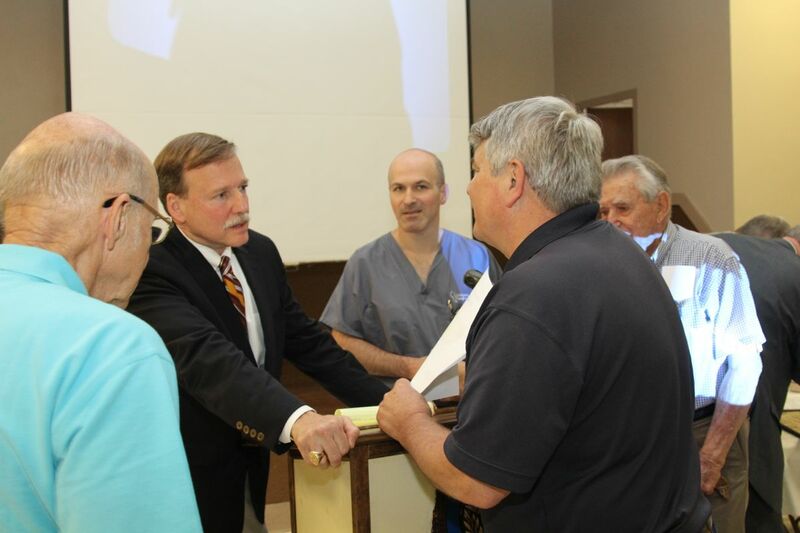 –Former prosecutor and current District Judge Scott Crichton, Republican-Shreveport, has announced his candidacy for the Louisiana Supreme Court 2 District. Crichton, a trial court judge for the last 23 years, promised in his announcement “to do as I have always done…work hard, bring the conservative approach of following the law not making the law, and continue my longtime commitment to our children and communities”. Besides presiding over hundreds of jury trials and thousands of hearings and bench trials, totaling more than 25,QOO civil and criminal cases, during his career on the First Judicial District Court bench. Crichton, 58, has been actively involved in educating teens about crime and the consequences of crime. Crichton created two programs which he has presented to more than 20,000 teens, parents and teachers in high schools, churches and community groups. “Don”l Let This Be You” is a teen consequences presentation and “Sexting, Texting, and Beyond” is a presentation on electronic laws and related misbehavior. “If we are to protect our children and insure the strength of our families and communities, it is essential that a judge also be a teacher, not just a judge,” Crichton commented. 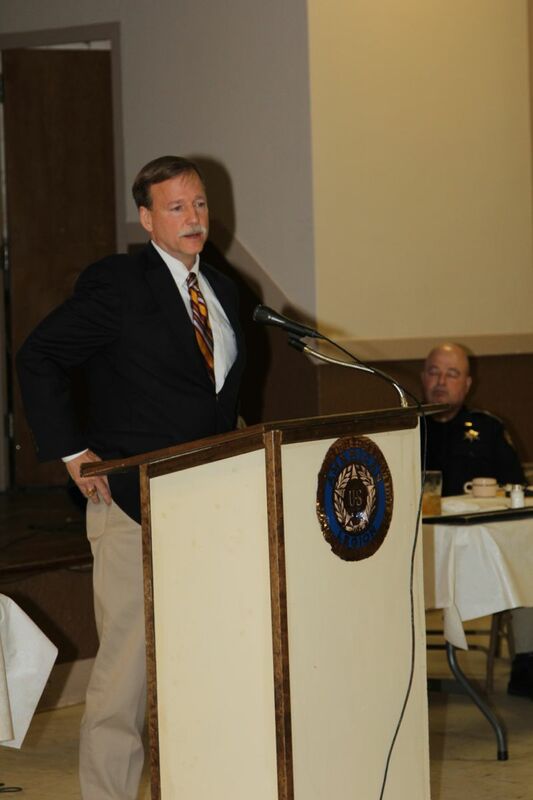 Before being elected judge, Crichton served 10 years as Assistant District Attorney in Caddo Parish where he prosecuted numerous violent criminals including death penalty cases. 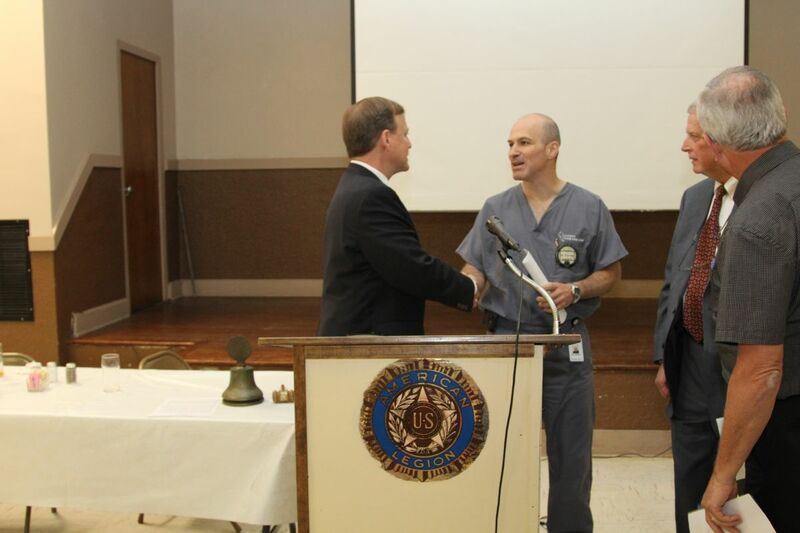 Crichton was the lead prosecutor in the successful conviction and death penalty sentence of the worst serial killer in Caddo Parish history, the Nathaniel Code case. “As a prosecutor and a judge. 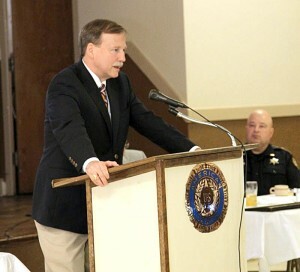 I have been fighting crime in our state and my record is clear, conservative, law and order,” Crichton said. 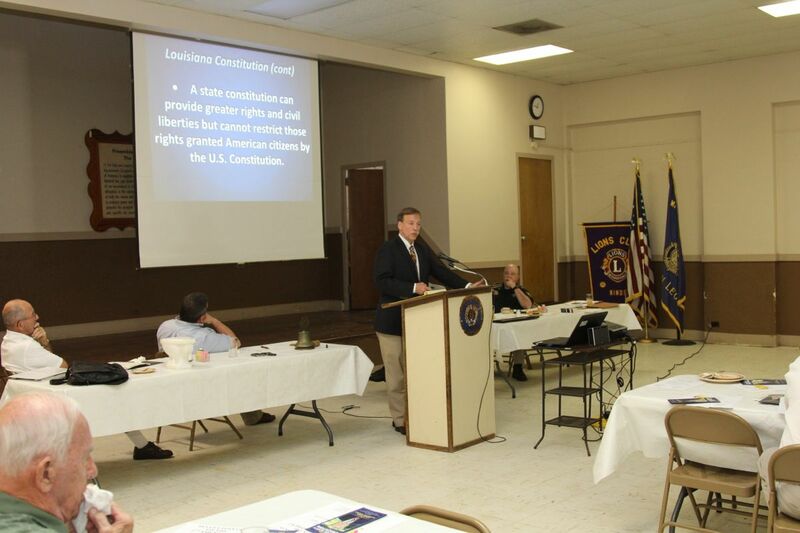 Crichton is currently involved in instructing citizens on their gun rights granted by the 2nd Amendment of the U.S. Constitution and the Constitution and laws of Louisiana through his program “Bullet Points on the 2nd Amendment: Guns. Permits and Self-Protection”. Crichton. a member of the NRA, strongly supports individuals’ gun rights. 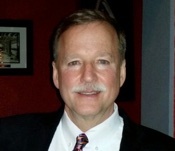 Judge Scott Crichton is a former Adjunct Instructor of Business Law at LSU-Shreveport. 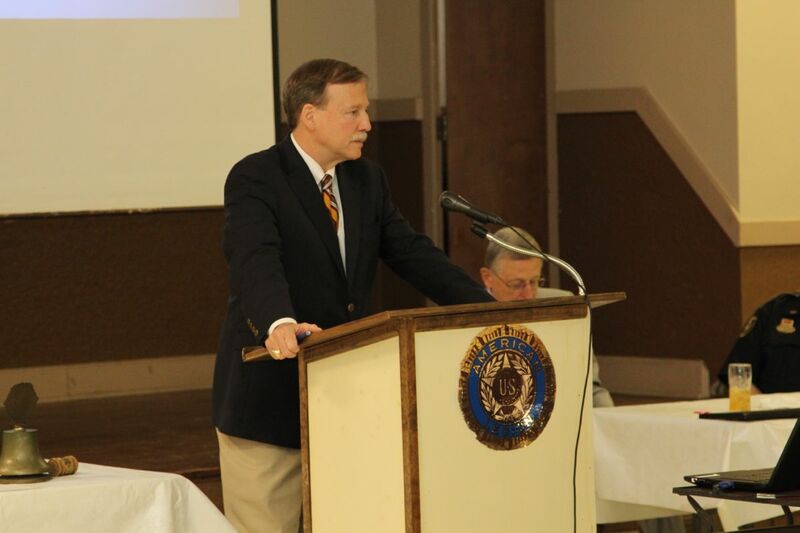 Among his numerous judicial activities, Judge Crichton is the Immediate Past President of the Louisiana District Judges Association, has served on the Supreme Court Committee on Judicial Ethics and senses on the Advisory Committee to the Louisiana Supreme Court on Judicial Canons, the Board of Governors of the Louisiana Judicial College and the Criminal Best Practices Committee. He was also a graduate of the inaugural class of the Louisiana Judicial Leadership Institute and is certified by the National Judicial College in program design. 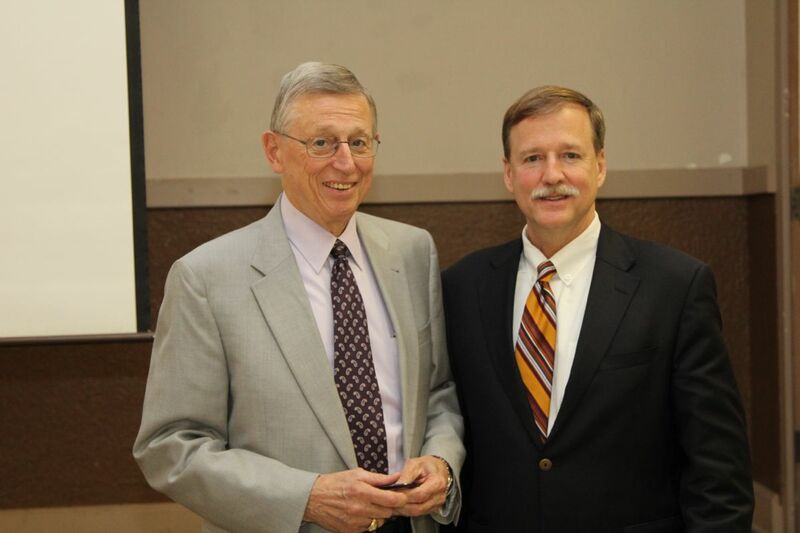 Judge Crichton is Co-Chairman of the CLE Committee (continuing legal education) of the Shreveport Bar Association as well as a former member of the CLE Committee of the Louisiana State Bar Association. 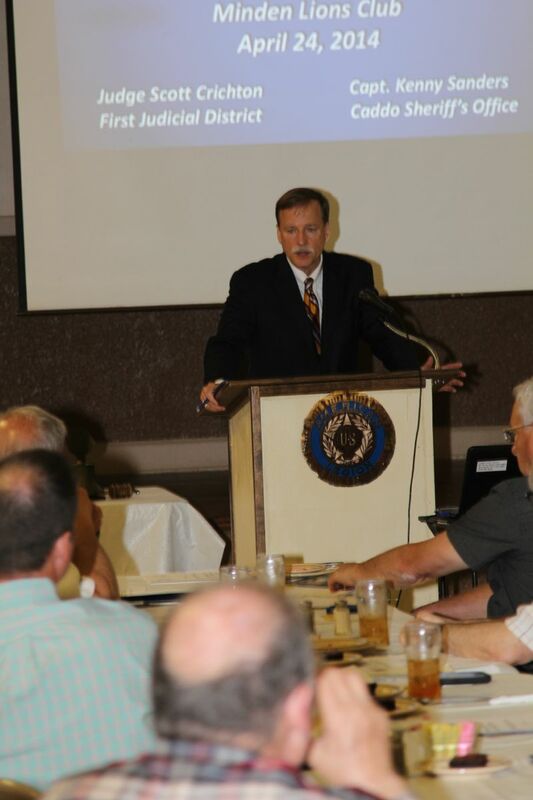 He has presented over 100 CLE programs to various legal groups throughout the state. Judge Crichton received his B.S. degree in 1976 from LSU and his Juris Doctor degree in 1980 from the LSU Law School. He and his wife, Susie, have been married for 27 years and have two sons. 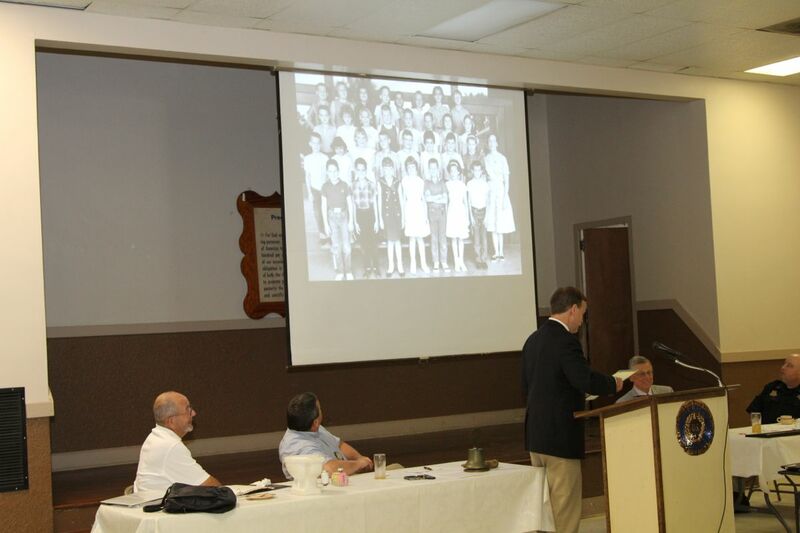 They are members of the St. Mark’s Episcopal Church in Shreveport where Judge Crichton serves on the Vestry. The election will be held in the fall of 2014. 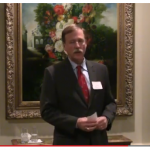 “While the 2nd District is a large and diverse area, 1 want to meet as many citizens as possible.” Crichton said. “I strongly believe a judge needs to be in touch with the thoughts, values and beliefs of the people,” Crichton continued. 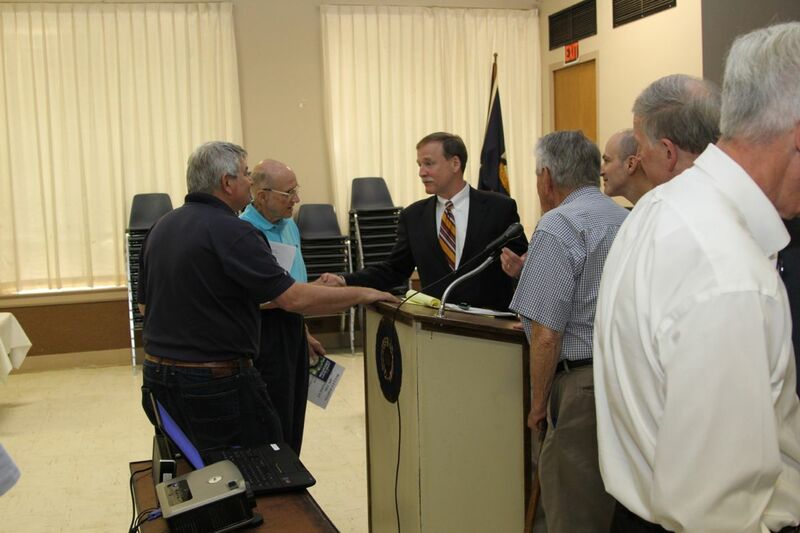 “I take this opportunity to personally and humbly ask for the support and vote of each citizen in the 2nd District and I look forward to serving our communities and our State on the highest court of Louisiana,” Crichton concluded. For more information about Judge Scott Crichton and/or to get involved in his campaign, contact him at scott@scottforiustice.com.